Philippa is Secretary of the Trust at Phunzira, a charity that has set up and supports a community education centre in rural northern Malawi, and that also supports two government health clinics in the area. She has worked for the charity since 2013. Nyumba ya Masambiro is this community education centre. Nyumba ya Masambiro means “House of Learning” or “House of Education” in Chitumbuka, the local language. In 2007 Rosa Nissim left the UK to teach mathematics for one academic year at a private school in the town of Nkhata Bay, Northern Malawi. At the end of her volunteering placement she travelled further north, by boat, to the remote village of Ruarwe. Ruarwe does not have access to utilities such as electricity and running water, nor conveniences such as a market, supermarkets or banks, and there are no roads leading to the village. Access is only by boat along the shore of Lake Malawi and on foot via the small paths through the hills along the lakeshore. There is limited telephone reception, only available from the top of a steep hill on the outskirts of the village where a line of sight is made to the telephone masts in Usisya, 20km south of the village. In this remote community, an eco hostel (Zulunkhuni River Lodge) is a quiet sanctuary from the hustle and bustle of Nkhata Bay life. The community in Ruarwe survives from fishing and subsistence farming, with minimal outside support for community development. During her stay in the village, Rosa was introduced to the Village Headman at the time, Palombe Mjeremani. Now deceased and having passed his role to his son Robson, Palombe chatted with Rosa about her teaching experience in Nkhata Bay. Palombe believed that access to knowledge and education was key to both community development and residents’ ability to improve their prospects. They discussed ways to provide further educational opportunities to the impoverished community and Palombe asked if Rosa would be willing to set up an education centre to provide support to school students as well as opportunities for other community members beyond school age. He offered a plot of land just outside the village, opposite the primary school, for such a purpose and at the end of 2008 after completing her two month stay in Ruarwe village, Rosa returned to the UK to look into this proposal. In 2009, Rosa spent the year in the UK. She set up the charity Phunzira, meaning ‘education’ in Chichewa, the national language of Malawi, and set about fundraising. She then returned to Ruarwe in 2010 to start building. Using a rammed earth style of building and employing local staff to build, six buildings were constructed. Having gone through some changes in purpose over the last seven years, these buildings now house the following: a youth centre; a library; a computer room; an IGA room; an office; and a store room. Solar power was first installed 2011 and is now complemented by a pico-hydro turbine, installed in 2013. The rammed earth style of building was chosen as it uses resources widely available in the surrounding environment such as mud, stones and sand. As a result, costs were kept to a minimum for items such as cement etc, large scale maintenance is only needed infrequently and, additionally, the rooms are cooler in the hot season and warmer in the cool season. Phunzira was very fortunate to receive donations of books primarily from two London-based secondary schools, allowing the library to benefit from a wide range of novels, reference texts, encyclopaedias and curriculum textbooks. We also received donations of paints, pens, paper, toys, and more for youth activities. Nyumba ya Masambiro is now able to offer the following services to the catchment community: a junior youth club three times a week focussing on education, creativity and sports; access to a well stocked library with a borrowing system in place as well as access to newspapers which can be read on site; tutorials run in academic subjects such as maths, English and science; and IT lessons. All these services are offered completely free of charge. In addition to these services Nyumba ya Masambiro also runs a nursery school during term time for preschool children for a nominal charge. Nursery students receive teaching in basic maths and English and receive a sweetened maize porridge breakfast daily. As well as these ongoing projects, Nyumba ya Masambiro has been involved in supporting larger-scale, one-off projects within the catchment area, including: construction of two science laboratories at the local secondary schools; the building and donation of an ambulance boat to the government for the transfer of critically ill patients from Ruarwe and Khondowe clinics; the training of a local community member as a Medical Assistant (equivalent to a doctor) for Ruarwe clinic; and the maintenance of the school office block at a primary school. In order to fund the free of charge, ongoing community services, Nyumba ya Masambiro runs some micro businesses (IGA’s). These include: a solar charged battery box rental scheme; phone charging from the solar and pico-hydro systems on site; the provision of typing, printing, scanning and photocopying facilities (particularly to local schools during exam season); the sale of eggs; the sale of some garden produce such as sugar cane, bananas and papayas; and a profit-sharing scheme with a local community member to run football screenings using a TV satellite system. The aim is for NYM to become fully financially self-sustainable and no longer be reliant on Phunzira’s financial support; the staff is making great inroads in achieving this aim. Nyumba ya Masambiro is staffed exclusively by local Malawians who have been trained by Rosa and a variety of volunteers over the years. The staff consists of four members of Management: a project manager; a bursar (who is also the librarian); a project coordinator; and a business coordinator. There are four additional members of staff: a project/business assistant, a cook/cleaner and two night watchmen. Nyumba ya Masambiro does not necessarily expect staff to be fully qualified before they start their job; training sessions on group cohesion and personal development are part of the ethos of the centre. This gives local community members the opportunity to not only earn a salary but also to develop skills as an individual. When Nyumba ya Masambiro was founded it was fully reliant on Phunzira for funding for projects, maintenance of the educational centre and staff salaries. It was the intention from the very beginning that the centre would become financially self-sustainable and that the community would take over the running of the centre, through the staff, local trustees and an executive committee, in order to take ownership of their own development projects. As a result, all facets of management have been slowly handed over to the staff over the years as they have been trained up. In April 2016, a huge and colourful ceremony was held alongside the Annual General Meeting at which the centre was officially handed over to the local community. All legal ties between Phunzira and Nyumba ya Masambiro were separated and since this time the day-to-day running of the education centre has been in the hands of the staff alone, with occasional assistance offered by Phunzira staff as required. It has been wonderful to witness the personal development of the individual staff members, the unity of the staff as a team, and the support from community members for the centre as a whole. While financial sustainability has not yet been achieved in full for salaries, we remain hopeful that this will be accomplished in the near future. 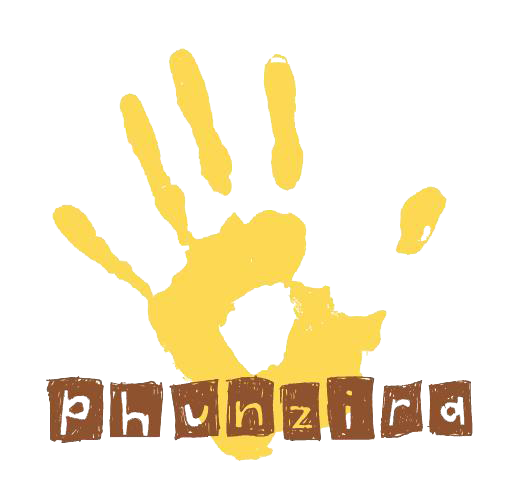 If you are interested in supporting Phunzira financially, please visit Donate or if you are interested in volunteering for any of the ongoing projects please find further information on our Volunteers Pages.